A group devoted to making education open, accessible, and public through the use of open-source tools and non-proprietary software platforms. A place to share ideas and best practices on planning, piloting, implementing, and/or assessing ePortfolios. A group for members of the LACUNY International Relations Roundtable, prospective members of the roundtable, and others interested in issues of international librarianship. 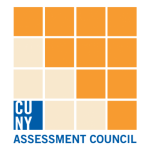 A group designed for the purpose of sharing data collected by CUNY Libraries; methods of compiling, computing and analyzing numbers; and to foster discussion about how CUNY librarians and administrators can best use data.